But tasks in hours of insight will’d Can be through hours of gloom fulfill’d. Though the context is slightly different, yet we have felt, it is worth reproducing”. The Bench comprising of Justices Misra and N.V. Ramana was hearing an Appeal filed by Union of India, against the High Court Judgment by which the High Court restored a Trial Court Judgment ordering reinstatement of CRPF Constable in service along with arrears of pay and allowances and other consequential benefits, who was dismissed by the Disciplinary authority. Diler Singh, a constable in Central Reserve Police Force (CRPF), was enrolled as such on 1.4.1990. He was posted in the 23 Battalion where he served continuously approximately for fourteen years. Subsequently, he was transferred to 61 Battalion where he served for two years. During the second posting a charge-sheet was served on him alleging that on 22.06.2001 about 11.30 hrs, he left the campus without permission of the competent authority and went to the bazaar and consumed liquor and quarrelled with some civilians. On being informed, S.I. Sheoji Ram, HC Mahabir Singh and Captain Fiyaz Ahmed brought him from bazaar to the campus. On the advice of the competent authority, a medical examination was conducted on the respondent and as per the medical report given by the assistant surgeon, District Hospital, Medak at Sangareddy, it was found that the het had consumed liquor. On the basis of the aforesaid report, a departmental enquiry was ordered by and Singh was also placed under suspension with effect from 6.7.2001. The enquiry officer conducted an enquiry and on the base of the material and testimony of the witnesses came to hold that the charges had been proved. Finally he was removed from Service. Aggrieved by the Order he had approached Court of Civil Judge (Senior Division), Narnaul seeking a declaration that the orders passed against him by the authorities were illegal. Trial Court had allowed his suit. But the Appellate Court reversed the judgment of the trial Court and held that the trial Court had no jurisdiction to try the suit, and further the judgment and decree passed by it were not sustainable. In the Second Appeal the High Court held that the allegations levelled against the respondent plaintiff were not of serious nature which would have attracted penalty of dismissal from the services. The aforesaid perception led to acceptance of the appeal and dislodgment of the judgment and decree of the first appellate Court and restoration that of the trial Court. 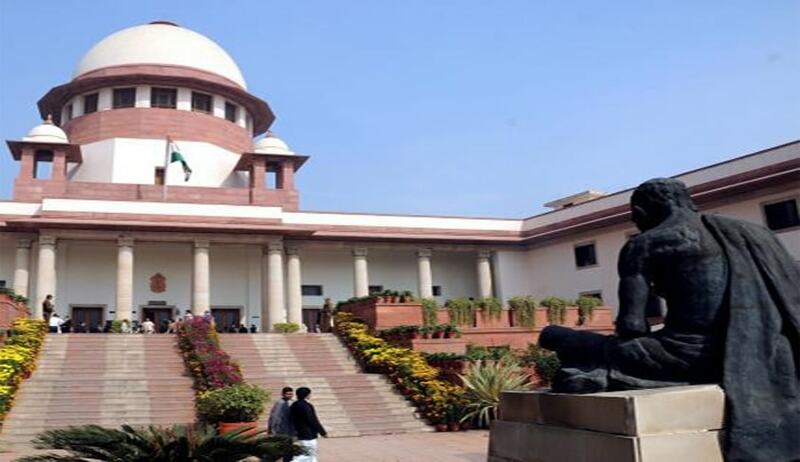 Citing a number of authorities the Supreme Court held that that unless the punishment imposed by the disciplinary authority or the appellate authority shocks the conscience of the court/tribunal, there is no scope for interference. It also added that when a member of the disciplined force deviates to such an extent from the discipline and behaves in an untoward manner which is not conceived of, it is difficult to hold that the punishment of dismissal as has been imposed is disproportionate and shocking to the judicial conscience. “We are inclined to think so as a member of the disciplined force, the respondent was expected to follow the rules, have control over his mind and passion, guard his instincts and feelings and not allow his feelings to fly in fancy. It is not a mild deviation which human nature would grant some kind of lenience. It is a conduct in public which has compelled the authority to think and, rightly so, that the behaviour is totally indisciplined. The respondent, if we allow ourselves to say so, has given indecent burial to self-control, diligence and strength of will-power. Consequently, the appeal is allowed, the judgment and decree passed by the High Court is set aside and that of the first appellate court is restored and the suit instituted by the respondent/plaintiff stands dismissed”.